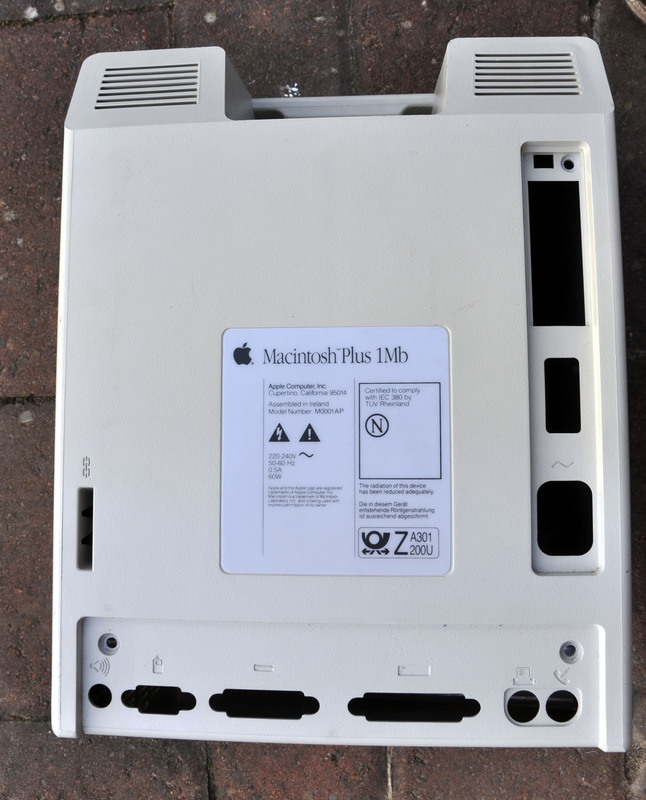 The front view of the Apple Mac. 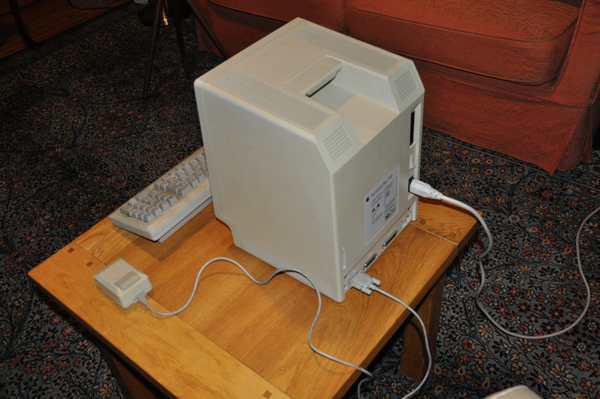 Just four components: monitor/system unit; keyboard; and mouse. Rear view, that is a carrying hold at the top. The mouse connected at the rear, the keyboard at the front. 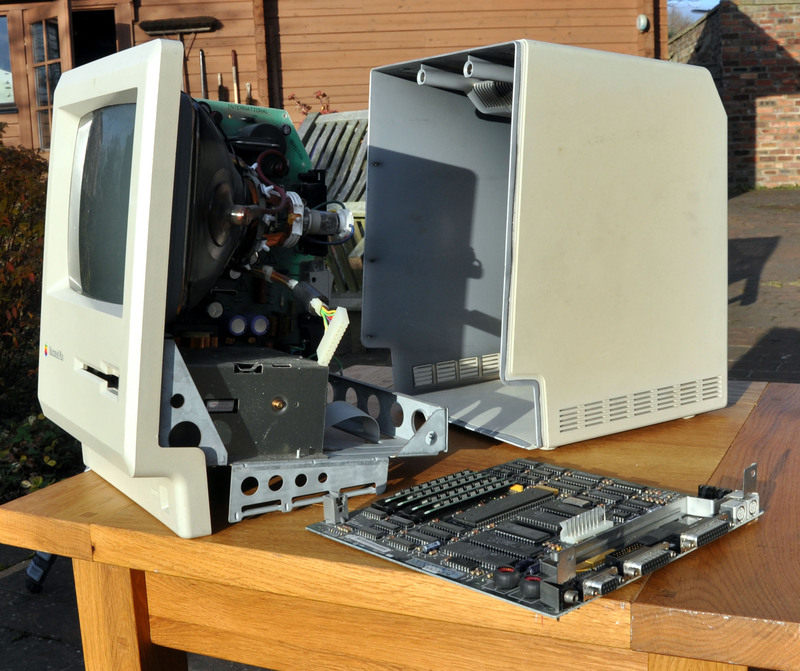 This is it opened up, the motherboard has been removed from the bottom of the unit. In the centre is the 9" CRT (Cathode Ray Tube), to the right is the 3.5" 800Kb floppy disk drive, and to the left of the CRT is the power supply board. The 60 watts power supply is complicated because it is two power supplies, one for the CRT and another for the rest. 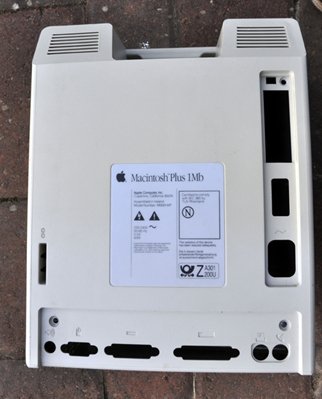 Rear view of empty case. 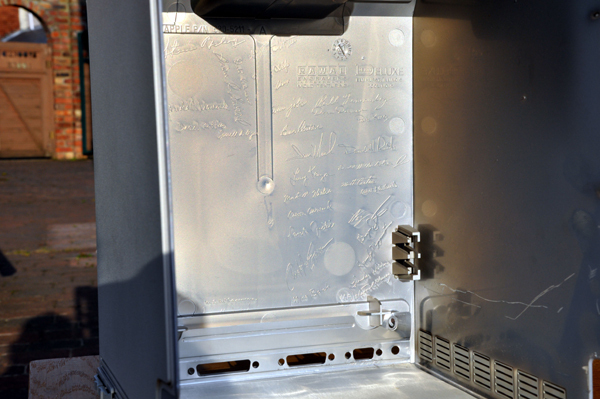 Viewed fullsize, on the inside of the rear of the empty moulded plastic case are many signatures. I count about 33 signatures including Steve Jobs, Daniel Koffle, Bill Fernandey, Patti King, Linda Wilkins, Mike Boich. I guess they are the signatures of the design team at Cupertino, California 95014. A Google search of Mike Boich found a web page. Here is the motherboard. 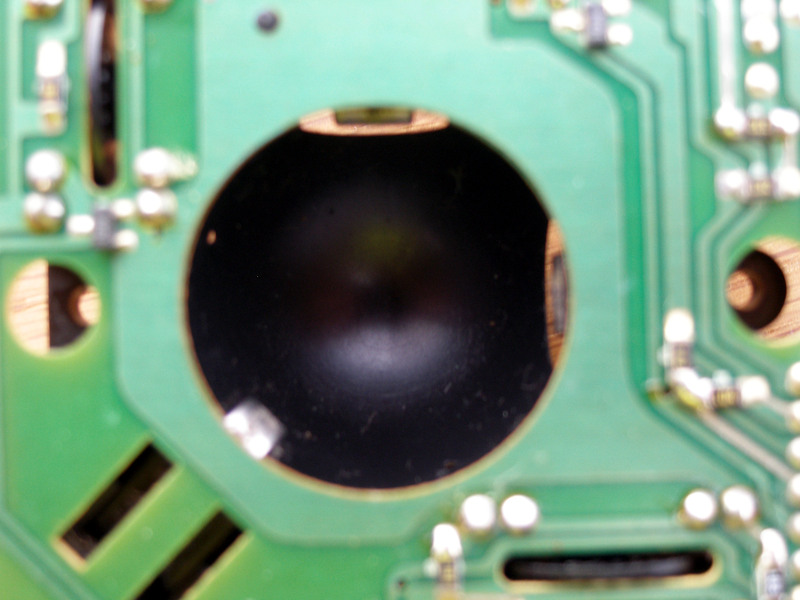 At the centre is a large 64 pin chip labelled MC68000P8. This is 8MHz 16 bit bus, 32 bit addressing, 40,000 transistor chip. 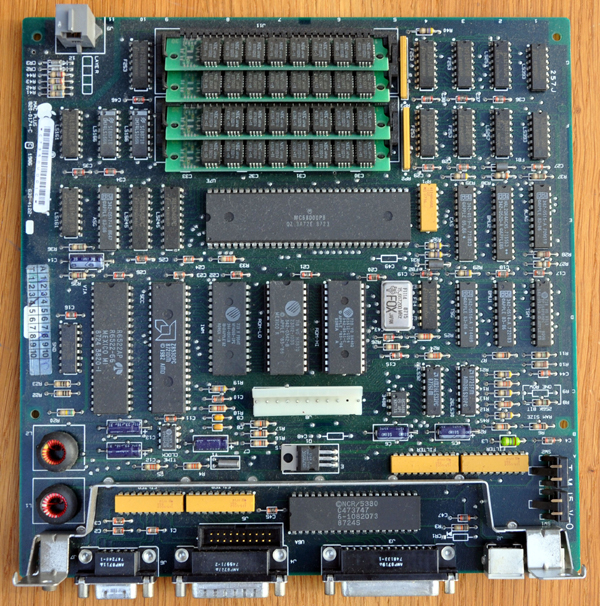 Above it are four SIMMs (Single In-line Memory Modules) each 256Kbyte, so 1Mbyte of memory. This could be expanded to 4Mbyte of ram using 1Mbyte SIMMS. 40 pin VIA, 40pin SCC, 40 pin IWM, 28pin ROM-LO, and 28pin ROM-HI. The VIA (Versatile Interface Adapter) converts 8 bit serial to parallel, parallel to serial. The next 40 pin chip is the SCC (Serial Communications Controller). 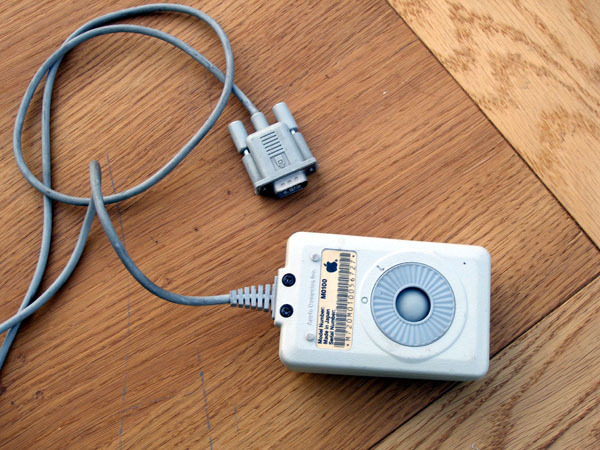 This controller used a UART (Universal Asynchronous Receiver/Transmitter) to transmit and receive information over a slow medium, such as a telephone line, that could communicate over a long distance. Finally there are two 28 pin chips ROM-LO and ROM-HI. 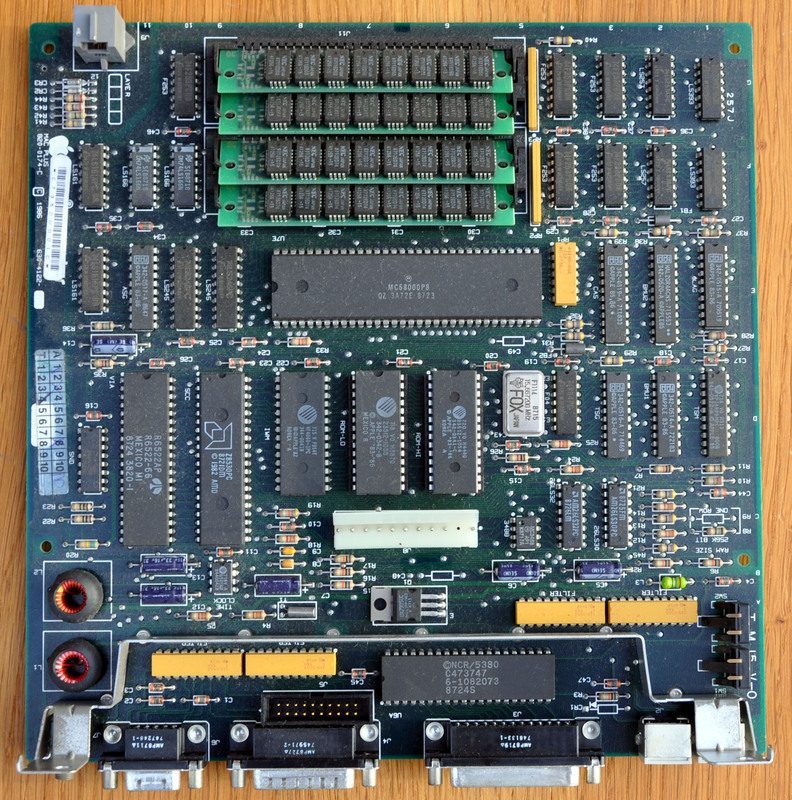 This 128Kbyte of Read Only Memory was used during start-up of the computer to discover devices and configuration of the computer. Below the two ROM chips is the 10 pin white plug that connected to the power supply board. Below that is a 40 pin chip labelled NCR/5380. This is the SCSI (Small Computer Systems Interface) chip. Just to complete the picture, this is the rear of the motherboard. Top view of the mouse. 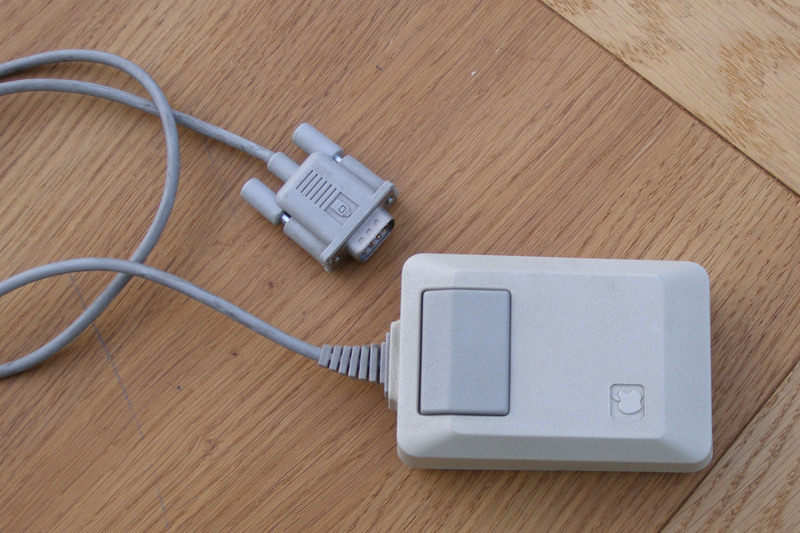 Early mice were rectangular and only had a single button. 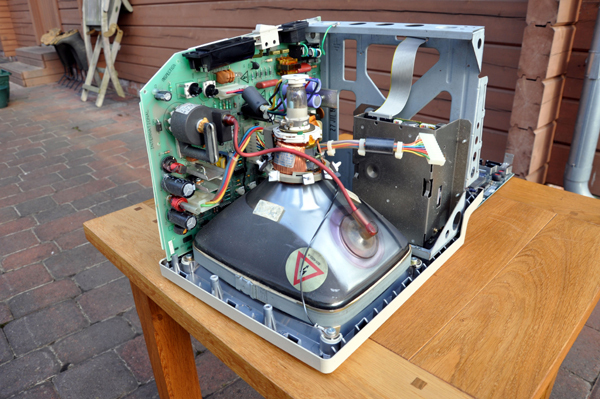 This is an electromechanical device. View of underside. The blue ring could be rotated from the L (locked) position to the O (open) to remove the roller ball. Just like this, the ball removed. It is a rubber-coated metal sphere 1" in diameter and quite heavy weighing 50 grams. Looking inside, three things can be seen on the edge of the hole where the ball was. 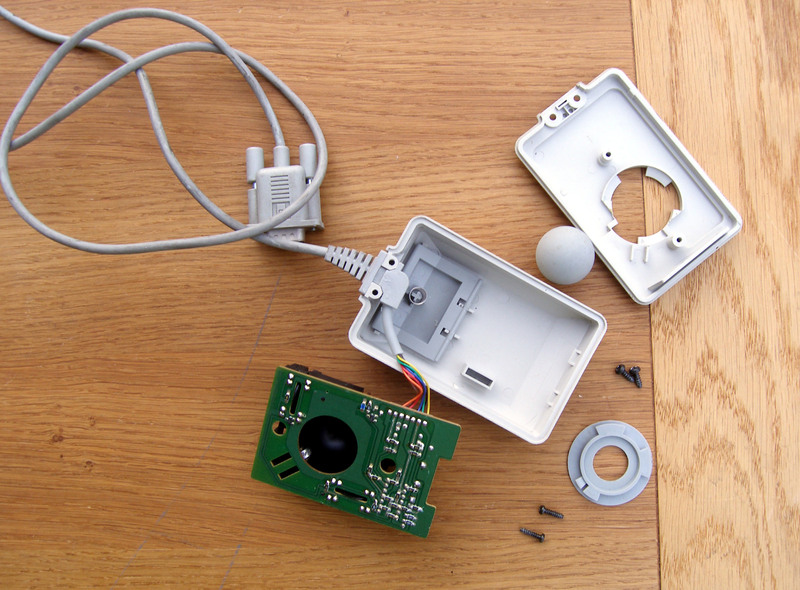 Opening the mouse, just two screws, reveals what is inside. 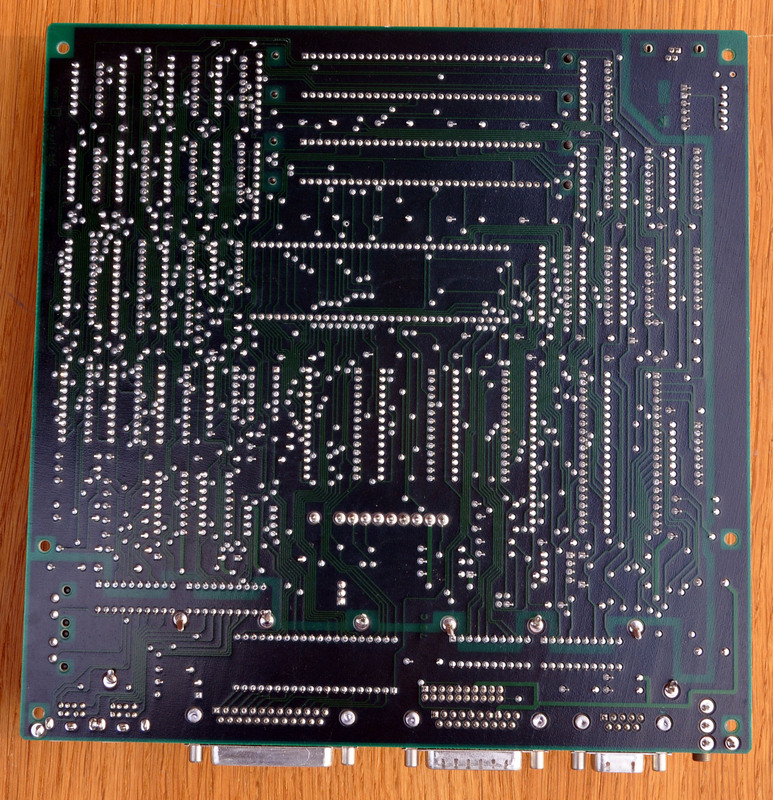 A printed circuit board with several components. 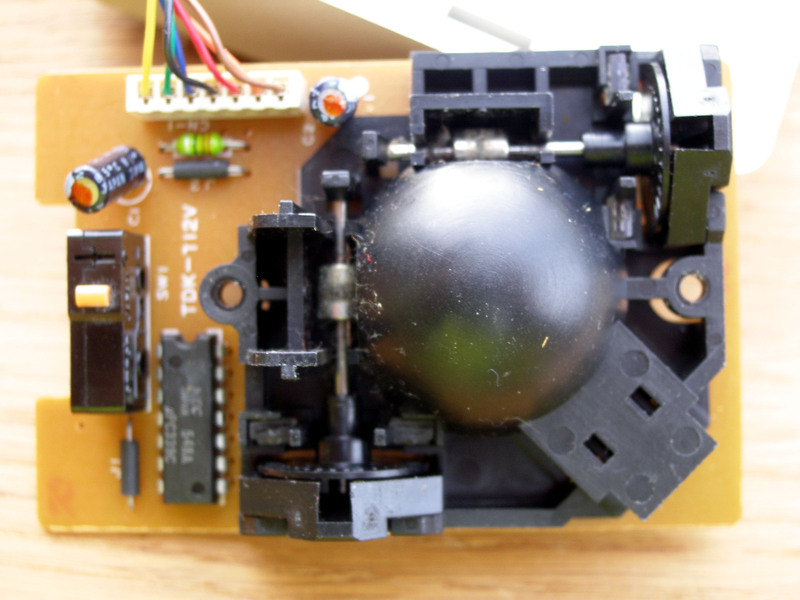 On the left is a black microswitch with an orange button. 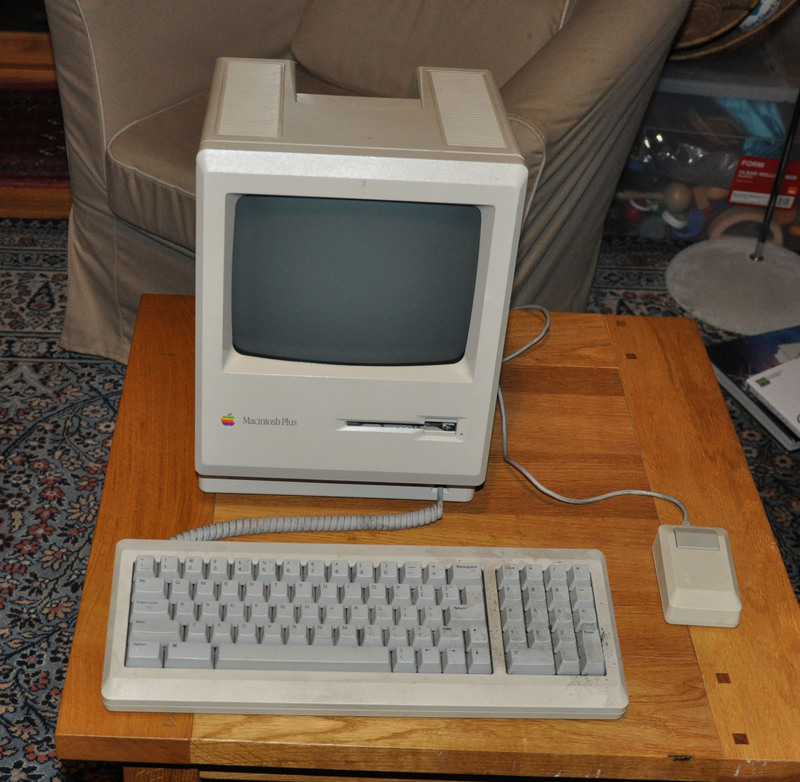 This is activated by the single mouse button. To the right is a more complicated black moulding which we look at more closely next. In the middle is the dome inside which the ball is housed. There are two axles at right angles with a roller on each. These are two of the things we saw in the hole. The third thing we saw was another spring-loaded roller pressing the ball onto the other two rollers. At the end of each axle is a radially perforated disk with optical sensors that detected the amount and direction of rotation. You do not have to go fullsize to see the gunge on the rollers in contact with the roller ball, and debris inside the mouse. The mouse was moved over a mousemat on which were dust, hairs, grease from hands, spilt drink and crumbs from snacks. All got picked up by the roller ball, and transferred to the rollers sensing the movement of the mouse. 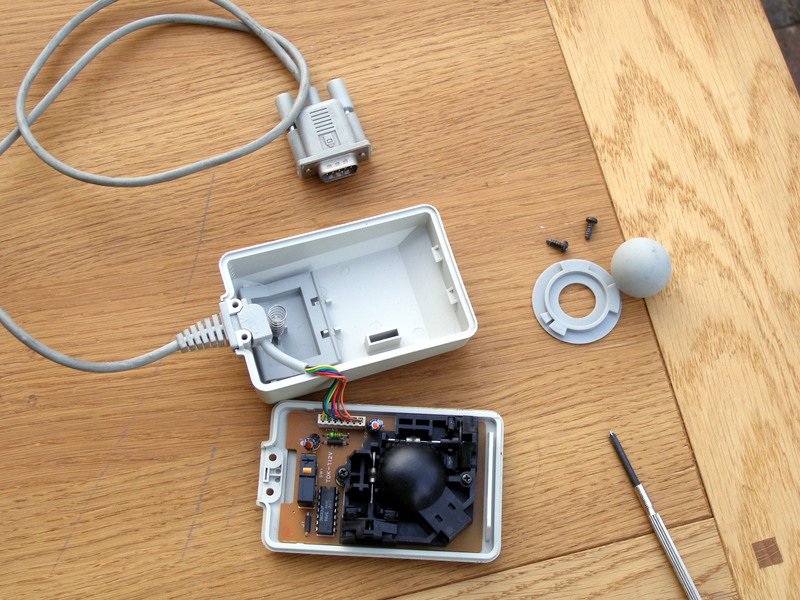 Eventually the operation of the mouse became erratic, meaning it was time to remove the ball and clean the rollers. 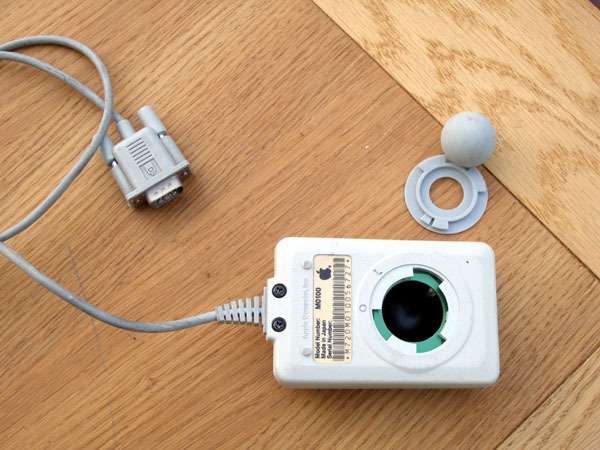 Finally here are all the bits of the Apple roller ball mouse.